Gosh, do I love me some soft-serve. 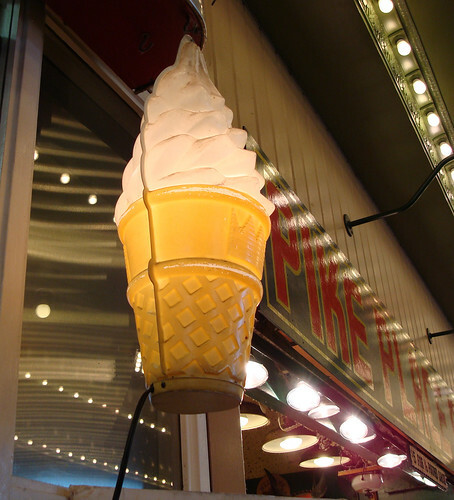 Growing up by the Jersey Shore, it was a summertime staple at the boardwalk. Not vanilla, not chocolate, but the SWIRL. 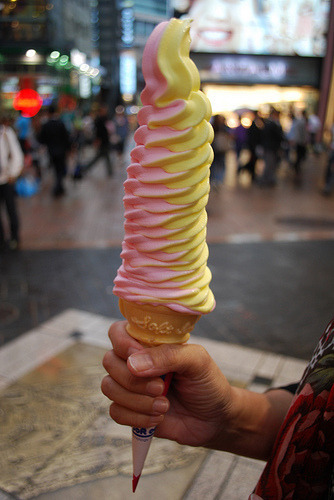 Some places would do an orange-vanilla swirl, too--because life is all about choices. And sometimes you choose to have a soft-serve equivalent of a creamsicle. Well, today (August 18) is National Soft Ice Cream Day, and in celebration, I'd like to share 13 points of interest regarding this sweet manna. 1. 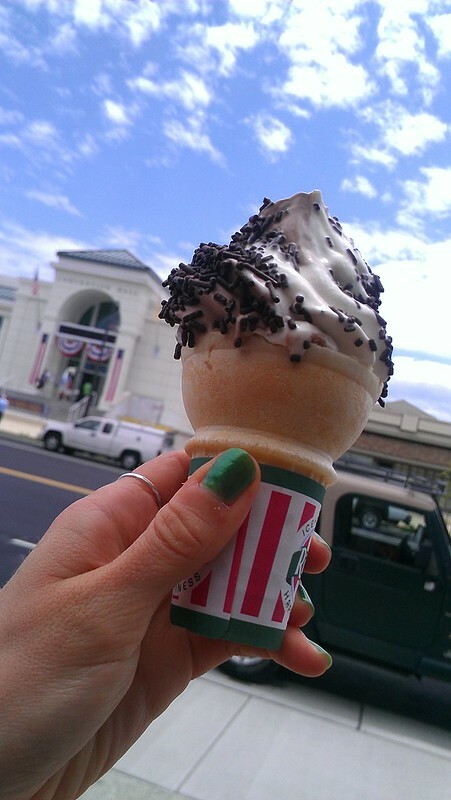 Carvel claims to have invented soft serve. Suffering a flat tire in the early 1934, Tom Carvel pulled into a parking lot and began selling his melting ice cream to vacationers driving by. He sold it rapidly, and had an ephiphany: a fixed location and soft (as opposed to hard) frozen desserts were the way to go. In 1936, Carvel opened his first store on the original broken down truck site and developed a secret soft serve ice cream formula as well as patented super low temperature ice cream machines. 2. Dairy Queen also claims to have invented soft serve. In 1938 in Illinois, J.F. McCullough and his son, Alex, also claim to have developed a soft serve formula. They sold 1,600 servings in two hours, and were officially ice cream men from that day on. 3. What's in soft serve? Mostly air, but depending on where you get it, it could also include a treasure trove of not so desirable ingredients, such as stabilizers, corn syrup, and even magnesium hydroxide. Read more here. 4. 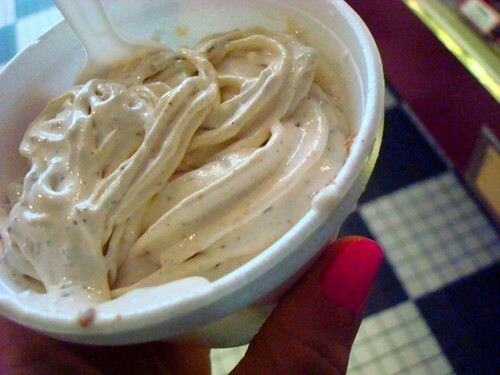 DIY: at Scoop de Ville in Philadelphia, you can choose an ice cream flavor, choose mix-ins, and they will use a machine to render the ice cream into soft-serve. Since theirs has no stabilizers or additives, they make each cup or cone to order. It's very good! 5. Fun place to visit: Stew Leonard, the "Dairy Superstore", with locations in NY and CT, makes their own soft-serve daily--while the most popular flavor is vanilla, they also have a fantastic strawberry variety. 6. Lost in Translation: in Israel, they call soft-serve "American Ice Cream". In Japan, it's called "softcream". In parts of Europe, it's referred to as "soft ice". 7. Sweet fusion: This nostalgic treat has inspired some fusion foods: in Brooklyn, you can get soft-serve kefir. 8. Go Bananas: If you're vegan, or want to pretend you are, banana soft serve will serve up some vitamins and minerals as well as soft serve tastiness. 9. Soft-serve is lower in fat than ice cream (it's made with 3-6 percent milkfat, as opposed to hard ice cream's 15-ish percent), but don't think that means it's health food. Refer to #3. 10. Fascinating phenomenon: Dole makes a series of "enhanced fruit" soft-serves, most famously the Dole Whip sold at Disney. 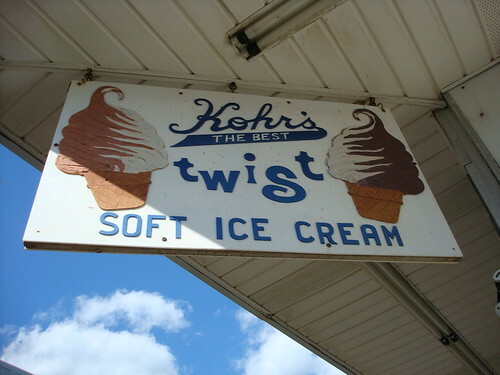 11. Who prefers soft-serve over hard ice cream? You can read an essay on this important subject here. 12. Guilty pleasure: You can make a chocolate soft-serve at home that tastes like a hybrid between a frosty drink from Wendy's and chocolate soft serve. YUM. 13. Here's another at-home version, this one a fancier version of the Mr. Softee version. You're welcome.